i loved the no nonsense production. 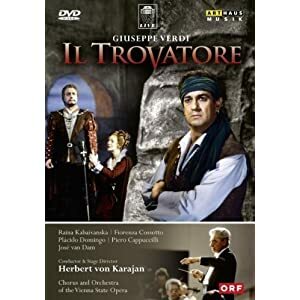 and Karajan's powerful conducting. flowers at the end were touching. Last edited by DarkAngel; Feb-13-2012 at 05:17.
missed that, very dumb. creative director i guess. This recording of Handel's Alcina is the latest addition to my CD collection. Sutherland and Wunderlich are fabulous -- makes one wish they would have made more recordings together. (This one is from a 1959 radio broadcast.) There are no weak links in the supporting cast, either, with Norma Procter as Bradamante and Nicola Monti as Oronte. Watched this performance this evening. I had listened to the music before, but this was my first viewing. Loved it. The fact that I briefly fell asleep should not be seen as a detraction from that statement. My little germans (dachshunds) insisted on joining me on the couch for some Beethoven. They fell asleep first and I am usually unable to resist their sleep inducing powers. I'm going to see Falstaff in May* & although I know it quite well I wanted to do some more homework so I got this on recommendation from Aksel. It's fab-u-lous. * a new production & according to the ROH site it's going to be filmed. Last edited by sospiro; Feb-19-2012 at 08:22. Vargen Kommer (Cry wolf) by Hans Gefors. Last edited by Dins; Feb-21-2012 at 00:45. It is an interesting opera. So far I like it, but I probably need to listen to it a few more times. The libretto is very well written and the music is interesting. It is loosely based on a real event in Paris when a man took twelve kindergarten children hostage. The core question of the opera is a dilemma. We see the evil in our world, but where is the good? Violence easily escalates. A man choose to become evil, strong and bold to get rid of his human weakness. He does the worst thing imaginable, he takes children as hostage and threatens to set of an explosive charge. The society is forced to cooperate. In this story we have the hunters, the victim and the bait. Everyone gets involved in the hunt, and eagerly awaits the conclusion. But two people steps out of their given roles and connects with each other. The desperate dreams of one becomes a mirror of the others desire. Nothing is what it seems to be any more. Everything is possible. The games begin, and in the game there is the possibility of another life that usually is hidden for us. But can the woman who tamed a wolf convince the world, that is crying out for vengeance, to put down its arms? Last edited by Dins; Feb-21-2012 at 11:09. I don't like Gergiev, but this performance has really something ... Can't keep myself from watching Hopak (Act 1) again and again and again ! Last edited by Il_Penseroso; Feb-21-2012 at 16:07. Sounds interesting! On my wish list. Watched this one today...great fun! 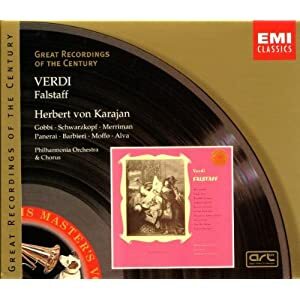 I've got several recordings of Falstaff but this one & the Solti are my favourites. Four weeks tomorrow I'm seeing the final dress of Falstaff then a week later I'm seeing a performance. Not that I'm excited of course. That's wonderful ! How lucky you are ... Say hello to Mistress Quickly from me !